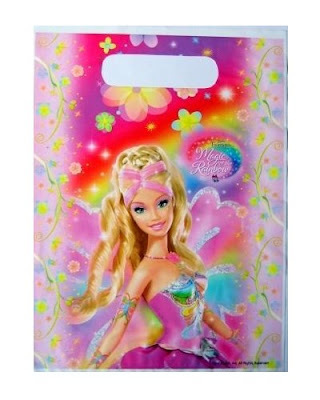 Funky Dory Party Bags Blog: Happy Birthday, Barbie! Monday, 9th March sees the 50th anniversary of the launch of the Barbie doll. Looks pretty good for 50, doesn't she? On Sunday, 8th March, Hamleys will be holding a special birthday party, complete with prizes, cupcakes and party bags! We understand Barbie herself will be making a special appearance too. If you're thinking of having a Barbie party of your own, you can find Barbie loot bags at only 20p each, as well as lots of pink, girly party accessories here. Your party bags look lovely!